Work and Life balance. An overused phrase that millenials can't keep up these days. Travelling 68 kilometers every weekday to work is no joke. I wake up at 6 am to get ready for work and leave work sometime around 7:00 pm. I might've got the hang of it, but there are times when it becomes life draining. For a person who always want to unearth new things, I am always on the look out for places or things to discover over the weekend or when there are opportunities. Just recently, I was able to visit Buku-Buku kafe located at District Mall in Imus. It didn't cross my mind to see a hidden gem just 15 minutes away from my place. I live in Cavite for more than a decade yet I can't profess that I have explored its every corner. Good thing, I learned that Reese Lansangan will play in this cafe which is why I was able to pay a visit. I can say that this might be the first place in Cavite which gave me the hipster vibe because of the books in the ceiling along with the opm blues playing in the background. 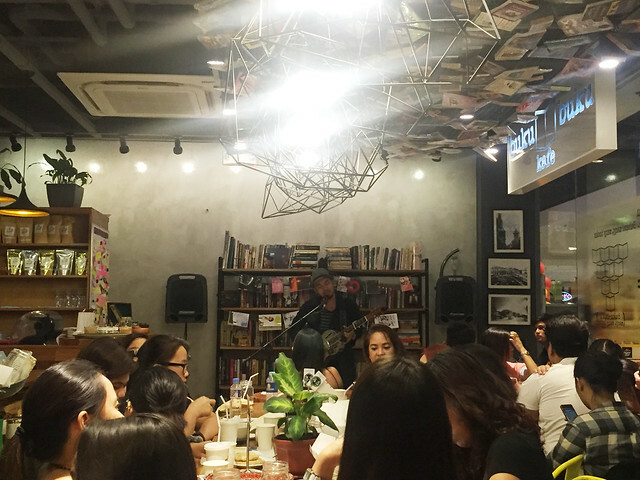 During my stay, I was able to take a breather and just drown myself to good music and food. "I work because I want to spoil myself". One of the mantras I live by. It may get a lot of comments but on my end, I just want to know myself better in my entirety and live of what I think is a good life. 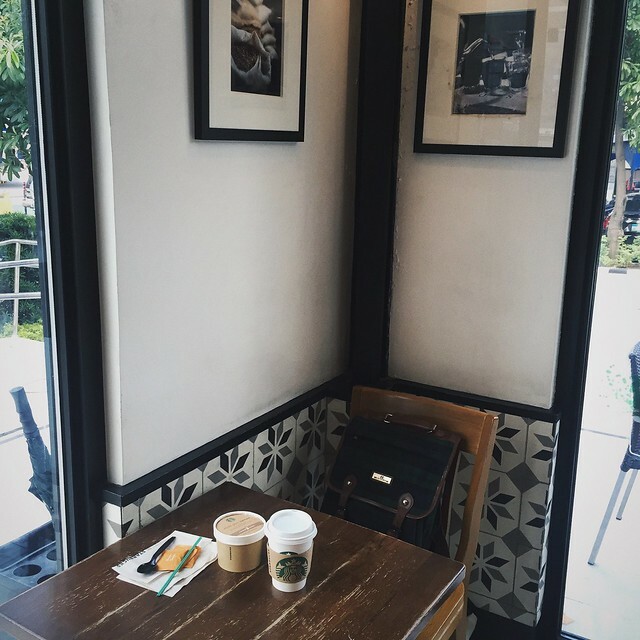 Just last Saturday, I got to eat a hearty breakfast in Starbucks. Since I don't have internet connection that time, I was forced to appreciate my spot in the cafe plus the food I was eating. This morning made me realize how lucky and blessed I am for everything that's happening to me. I may have a love-hate relationship with being 22, but right now, I'm happy to living life to such extent. Within the six months I've been working at my current job, there will be times that I experience overfatigue because I overwork myself. I tend to stay up late (because procrastination) and wake up early the next day. I tend to miss on vitamins because I don't eat breakfast most of the time. But in this age and time, I become more sensitive in dealing with as little as cough and cold because it's easier to get sick these days. 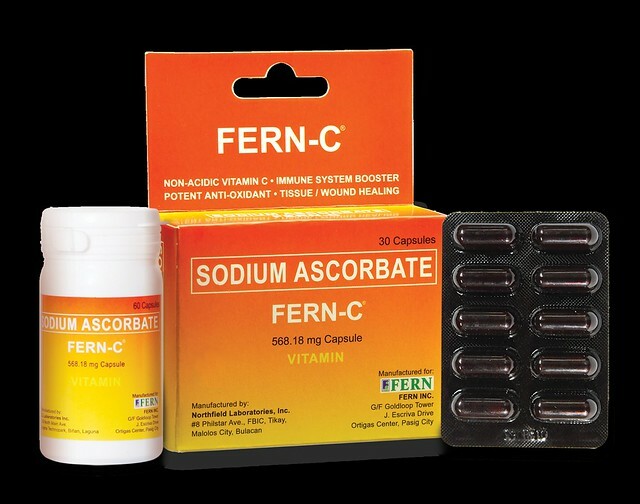 I'm just happy to have discovered Fern-C, an alkaline-based Vitamin C. Because of its Sodium Ascorbate form, it neutralizes acidity in the stomach. Subok Na! That's why this makes it the perfect vitamin for those with hyper-acidity, and people whose schedules cause irregular sleeping and frequent meal skipping like me. Indeed, it lives up to its promise Worklife ay Easy with FERN-C! Yup, This is how I get a life these days. How about you?